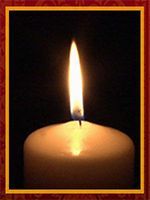 You are here: Home / Obituaries / John H. Siple, Jr.
John H. Siple, Jr., 87, of Lancaster, died Monday, August 2, 2010 at Hospice of Lancaster County in Mount Joy. He was married 64 years to Emma Killian Siple. Born in Lancaster, he was the son of the late John, Sr. and Sarah Young Siple. John had worked in the construction field and retired from Clyde Stumpf & Son. He was a member of the Pearl Street United Methodist Church. John served in the Army Air Corps during World War II and was a member of the American Legion Post 469 in Wrightsville. Surviving besides his wife are two daughters, Beverly J. wife of Thomas Garbini of Landisville, and Sandra L. wife of Jerry Eshleman of Pequea; a son, Michael J. husband of Cynthia Fisher Siple of Mount Joy; one grandson, four granddaughters, and four great grandchildren. He was preceded in death by a sister, Pearl Miller. A Funeral Service will be held on Wednesday, August 4, at 11:00 A.M. at the Richard A. Sheetz Funeral Home, 2024 Marietta Avenue, Lancaster, PA with the Rev. Debra Davis officiating. Friends may call at the funeral home on Wednesday from 10:00 A.M. until the time of the service. Interment in Conestoga Memorial Park. In lieu of flowers, contributions in Mr. Siple’s memory may be made to the Uniform Clothing Bank at Pearl Street United Methodist Church, 133 Pearl Street, Lancaster, PA 17603. Offer Condolence for the family of John H. Siple, Jr.